Three United Nations agencies have warned that “untold thousands of innocent victims” will die in Yemen unless the Saudi-led military coalition fully lifts its blockade. Medicines, food and fuel have been prevented from entering the war-torn country through rebel-held ports like Hodeidah, the channel for the vast bulk of imports. 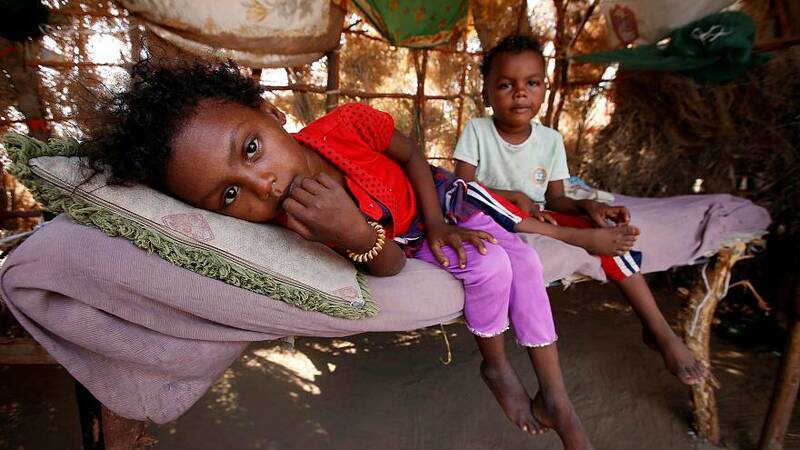 Yemen already has 7 million people on the brink of famine, but without the reopening of all ports, that number could grow by 3.2 million, the heads of the World Food Programme, UNICEF and the World Health Organization said in a joint statement. The Saudis, however, blame the crisis on Yemen’s Houthi rebels, backed by Iran. “They (Houthis) are the ones who are responsible for the starvation by laying sieges on towns and villages and preventing supplies from coming in or going out and randomly shelling those areas,” Saudi Arabia’s Foreign Minister Adel al-Jubeir told Reuters in an interview. At least one million children are at risk if a fast-spreading diphtheria outbreak is not stopped in its tracks, and the lives of 400,000 pregnant women and their babies are under threat because of the lack of medicines. There is also the risk of a renewed flare-up in cholera, which was on the wane after the most explosive outbreak ever recorded – with over 900,000 cases and 2,200 deaths in the past six months. The number of new cholera cases has declined for the last eight weeks, Sherin Varkey, UNICEF deputy representative in Yemen, said in a telephone interview from Sanaa on Thursday. The government-controlled port of Aden has re-opened and Sanaa airport is operating for commercial flights, however this is inadequate as “needs are so huge”, he said. Children of #Yemen are paying a heavy price for this war. Since the current blockade, we have been unable to bring essential medical & nutrition supplies, vaccines which are truly lifesaving for #YemenChildren. Iran denies arming the Houthis but Yemeni militiamen are vowing to respond to the blockade with an upsurge in fighting. More than 10,000 people have been killed in two years of conflict and UN leaders say that Yemen is now the worst humanitarian crisis in the world.